Description Bass, Trout Steelhead this one does it all. 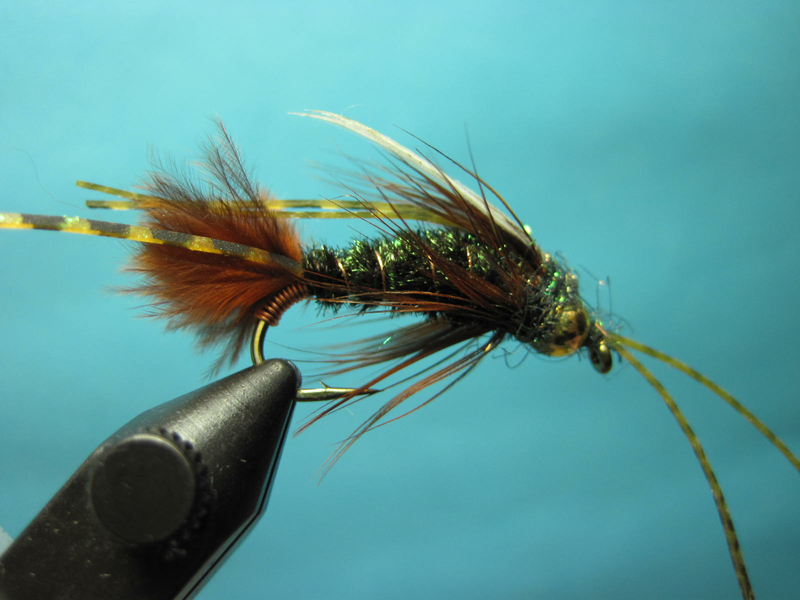 Killer high water fly. Resembles stone fly nymphs free drifting down large rivers. Trout crush them from bottom to surface.